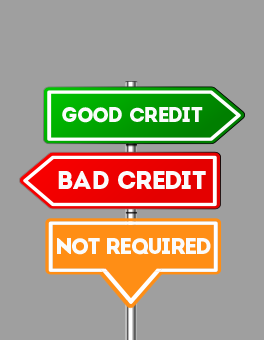 Having just started working, you are relatively new to the credit system and do not have a credit score. Your first job marks the beginning of your financial life,and the habits that you start now will follow you throughout your life. Landing a good job is just part of being able to build wealth and being successful. It is essential, however, to manage your money well and save for the future. Whether you are a millennial or not, it doesn’t hurt to brush up on credit scores. A credit score is based upon your payment history and ranges from 300-900; current credit utilization, credit history length, as well as your credit mix, are a few other crucial factors that are taken into account by credit companies when computing your score. The higher the credit score, the lower interest you will pay for a bank loan. You can save your money annually when it comes to interest payments when you have a high credit score. If you have a credit score more than 800,banks will offer you the best home loan deals. Here is how you can improve your credit score. Check your credit report online. It is a good idea for every millennial to get a copy of their credit report online and understand how credit companies calculate their scores. Once you have the credit report, you need to fix any error in the report. Your credit score relies on your credit history, and any mistake in the credit report can negatively impact your credit score. Your credit history also pinpoints areas where you need to improve. A millennial wanting to buy a house in the future requires an excellent credit score to avail a bank home loan. Clear your outstanding bills. It’s never too late to build good payment habits as timely payments play a prominent role in improving your credit score. Automating payments or activating alerts before the due date is an excellent way to stay on track of payments as timely repayment of any outstanding bills or loan is essential for creating a good payment history. 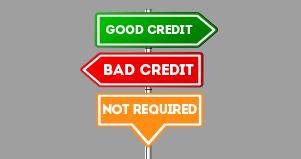 Credit reports highlight not just your repayment history but also indicate how timely your payments have been. A history of late repayments can negatively hurt your credit score. Pay more than the minimum. If you continue to make minimum credit card payments, a positive movement in your balance is unlikely. Use credit cards as short-term loans, and make sure to pay a full statement balance within each due date and not increase your debt further; you risk high-interest charges when you carry forward your balances. Squaring off your bills on time also helps you to keep a low credit utilization ratio. Your credit utilization measures your available credit against your total debt and shows how responsible you are as a borrower. For example, if you own two credit cards with combined limits of Rs. 1 lakh, and your debts between them is Rs. 30,000, your credit utilization ratio is 30%, and experts suggest keeping your credit utilization ratio below 35%. Plan and protect your credit. Do not apply for many credit cards at the same time just to increase your available balance if you are unable to pay bills. Multiple credit cards can leave you with a high outstanding balance, and a history of late payment can drastically lower your credit score. You should apply for loans and credit cards only when you can repay them and when required. Be vigilant about your finance and maintain your payment history and credit utilization ratio to improve your credit. Check all your billing statements on a monthly basis for any abnormalities to ensure that all charges were authorized and basics like personal information remain current. A regular review can also protect you from identity theft as you can identify irregularities and contact your bank or credit card company quickly. Plan a short-term cash loan. When you do not have a credit score because you haven’t taken any credit yet, a cash loan from an alternative lender such as CASHe can help you build your credit score. If you already have a bad credit score, you can improve your credit by clearing your credit card debts and other bills with the help of an instant personal loan. CASHe gives short-term personal loans to the salaried workforce up to Rs. 2 lakh for a period of 15, 30, 60, 90, 120 or 180 days as a more hassle-free alternative to bank loans. You just need the loan app CASHe on your smartphone to avail multiple fast cash loans from CASHe. Learn more about app CASHe for a quick loan today and improve your credit health by making timely payments. You can also read our CASHe blog to know how you can get an instant personal loan with low credit score.